With election day looming tomorrow, we thought it was a great time to have some fun with polls and allow Capitals Outsider readers to vote for something that doesn’t involve ridiculous television commercials and oversized cardstock mailers. There is little doubt which way the DMV will be voting in the mid-term elections tomorrow, so instead of politics, we’re going to allow you to vote for your favorite Capitals in a different sort of poll. If you don’t agree with the candidates, you should have voted in the primary. And yes, we’ll definitely be watching for Russian meddling. 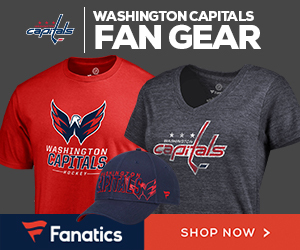 Who is the Best Capitals Goal Scorer? Early voting starts now. If you don’t vote, you can’t complain! In all seriousness though, go vote on Tuesday. Your country needs you.